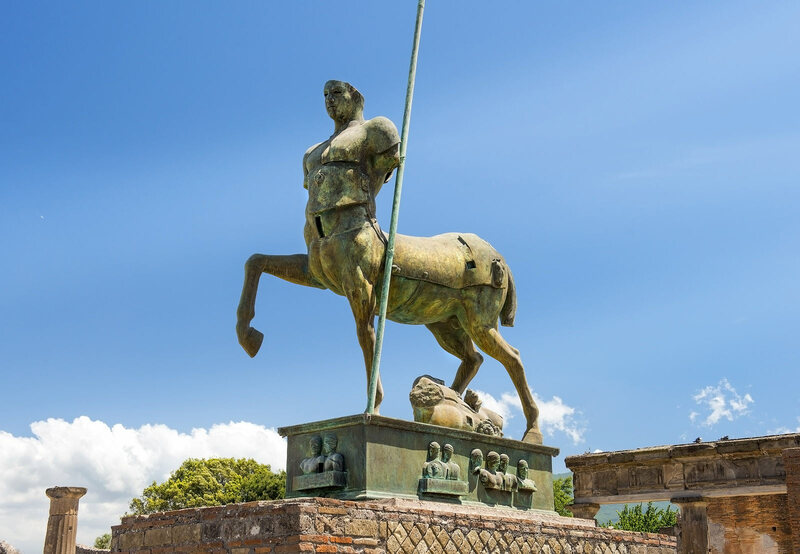 With this ideal day trip from Rome, you have the freedom to make your own Pompeii tour itinerary – without having to worry about transportation. 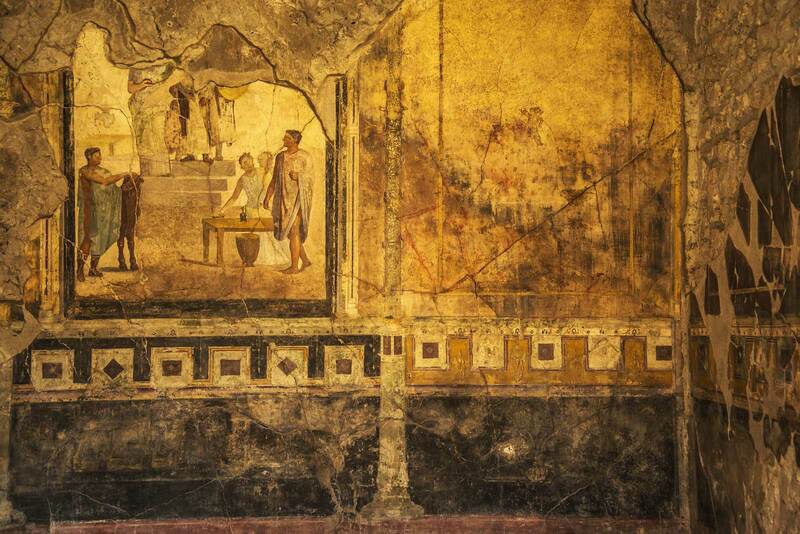 Our round-trip shuttle bus service from Rome to Pompeii begins at 7:30 am where you will travel comfortably on a bus that seats 50. 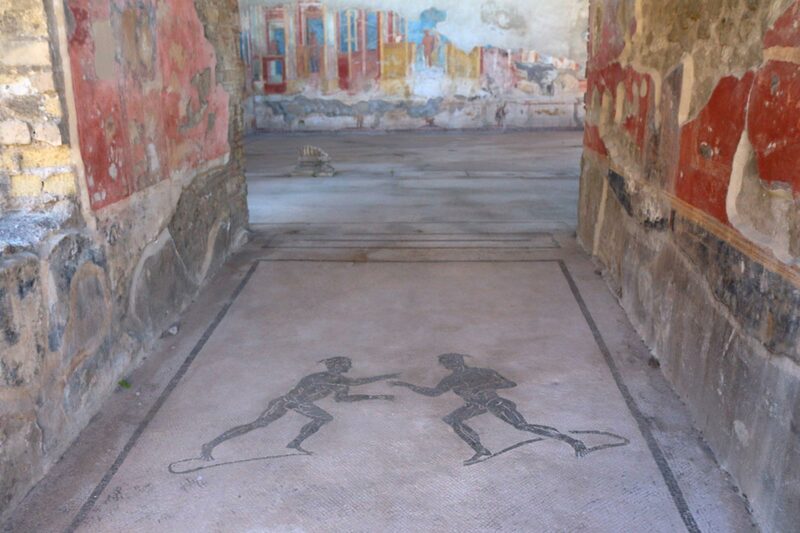 After a brief stop halfway through the ride, your Pompeii visit begins at 11:00 am. You will have 4 hours of sightseeing all to yourself to enjoy the ruins of this ancient and legendary city . 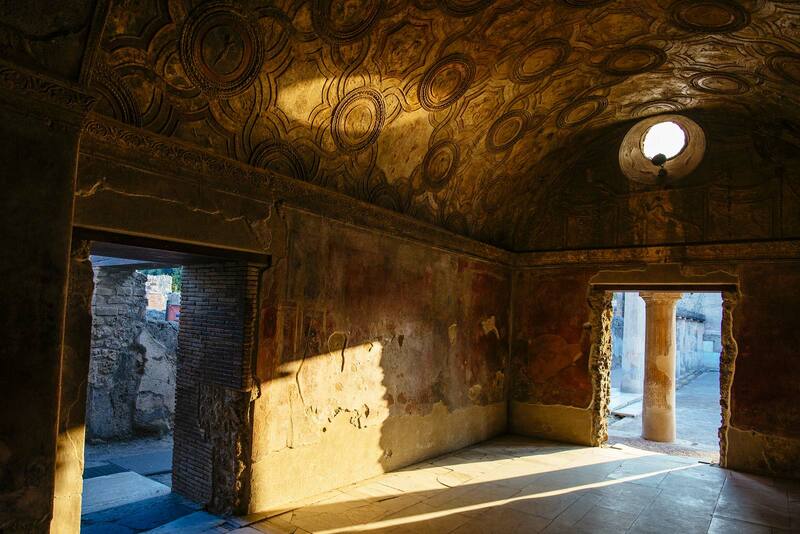 One of the most traveled destinations in Italy, with the best-preserved site of excavated ruins- Pompeii is both haunting and fascinating. 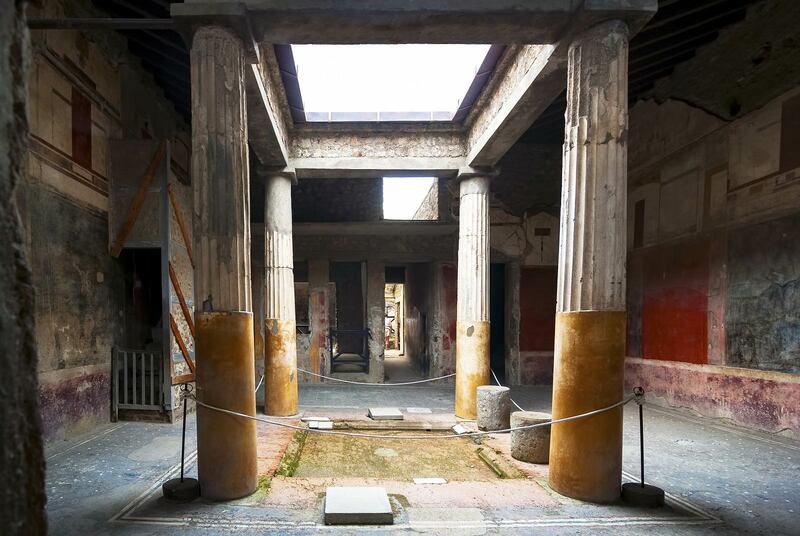 Explore the lost civilization as you tour Pompeii, where you can wander the maze of streets independently – or take advantage of one of our guided Pompeii tours when you upgrade. 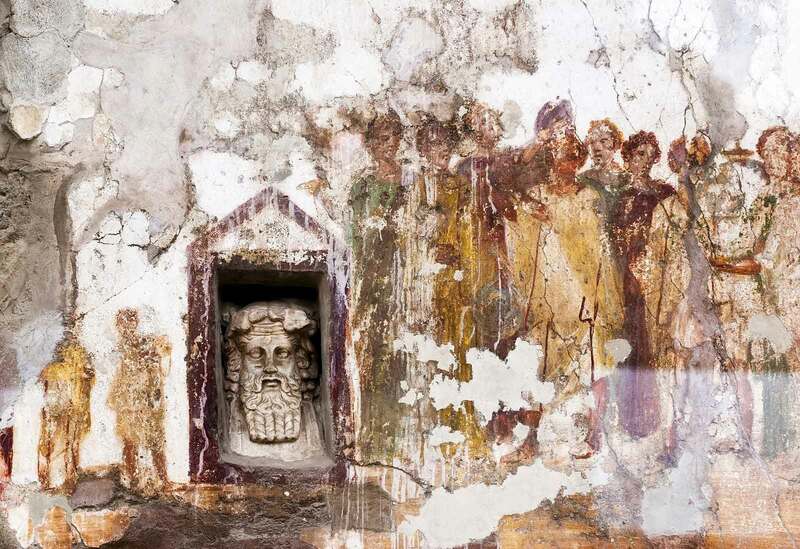 This upgrade includes admission fees, skip the line Priority Access, and a 2-hour tour of Pompeii. 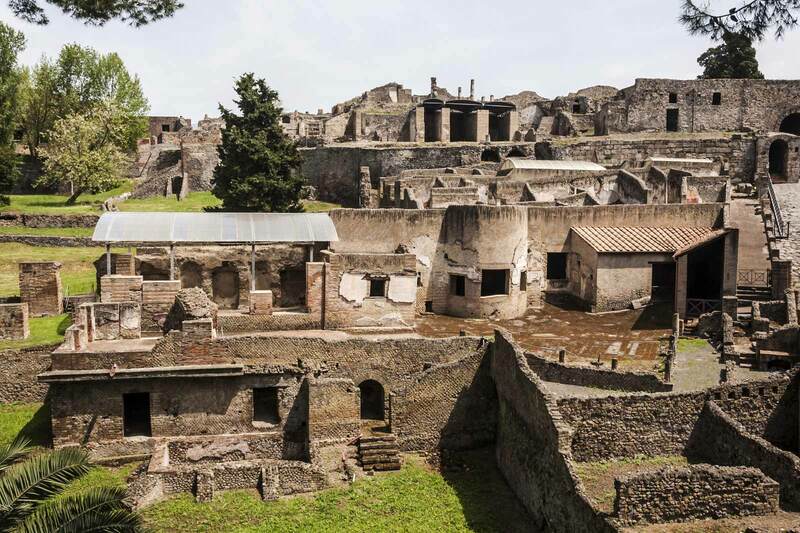 Our expert guide will share the tragic story of Pompeii’s destruction, as you walk through the compelling grounds with the impressive Mount Vesuvius in the backdrop. You meet back at the bus at 3:30 pm, as your 12-hour day trip from Rome comes to an end. And on the comfortable ride back, you can reflect on a memorable visit to Pompeii - the buried city, frozen in time. Departure from Rome is at 7:30 am at Via Cavour building 224 near the bus stop (take Metro CAVOUR stop on Line B). An Enjoy Rome staff member and guide will welcome you on a comfortable bus with 50 seats. Please arrive 25 minutes before the start of your tour to check-in with a member of our staff.